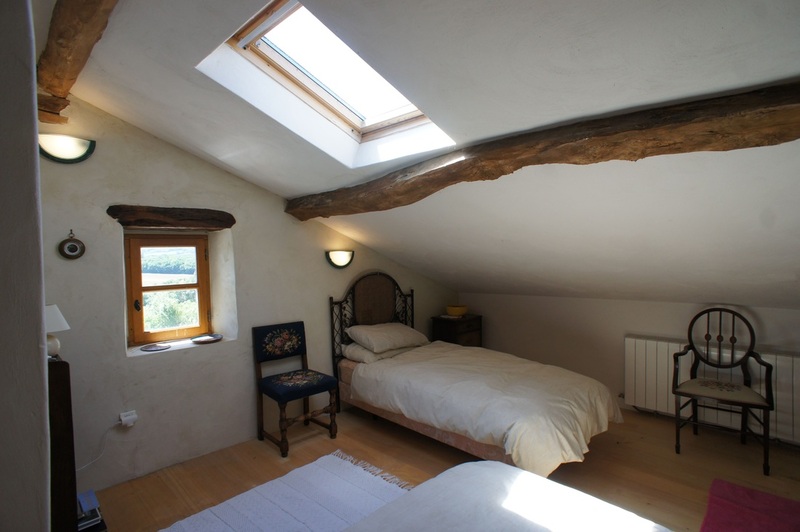 Chez Papi is our third gite, also completely separate from Maison de Ferme, and like Chez Amis created from part of our barn. It has its own entrance, outside chairs and table and shares the terrace and pool with Chez Amis. 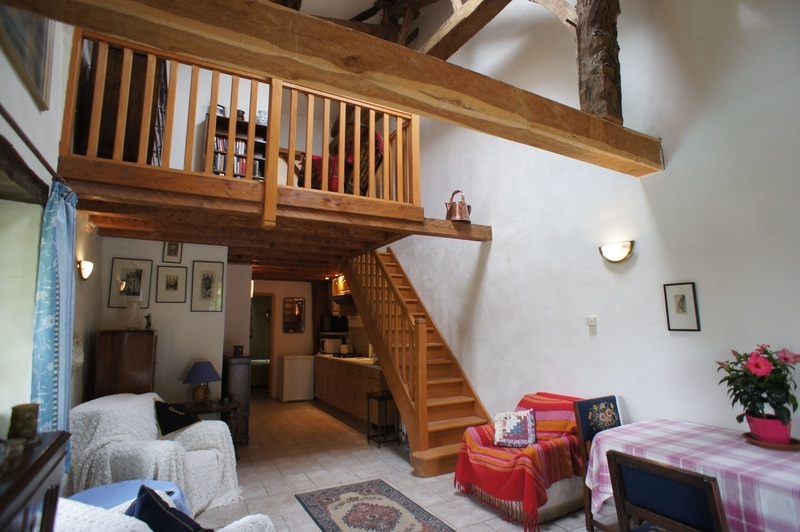 We have kept the wonderful beams and high ceilings and provided two double bedrooms with ensuite shower, toilet and basin, comfortably sleeping four people. Entry is from the terrace into the open plan living area with chairs and dining table and comfy chairs. The cosy kitchen area with fridge, microwave, sink and drainer, kettle toaster and gas cooker is tucked under the wooden stairs. Also downstairs is a double bedroom. 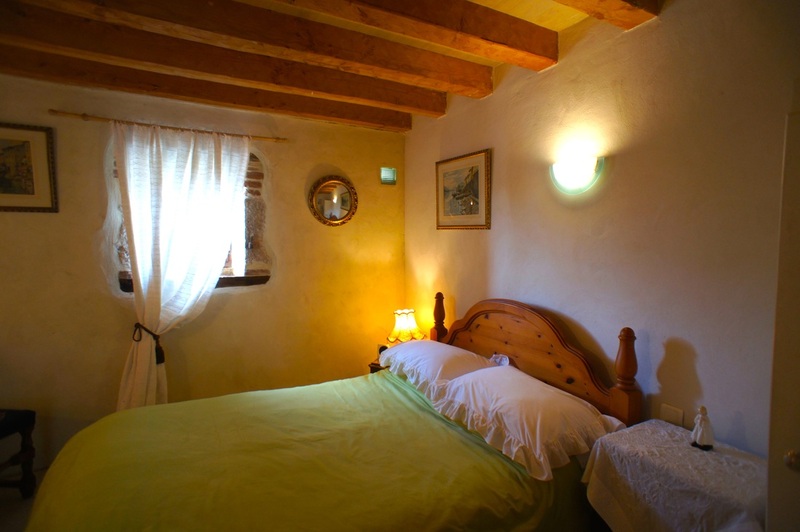 Upstairs is a small sitting area with books and comfy chairs and the second double bedroom. ensuite shower, toilet and hand basin. 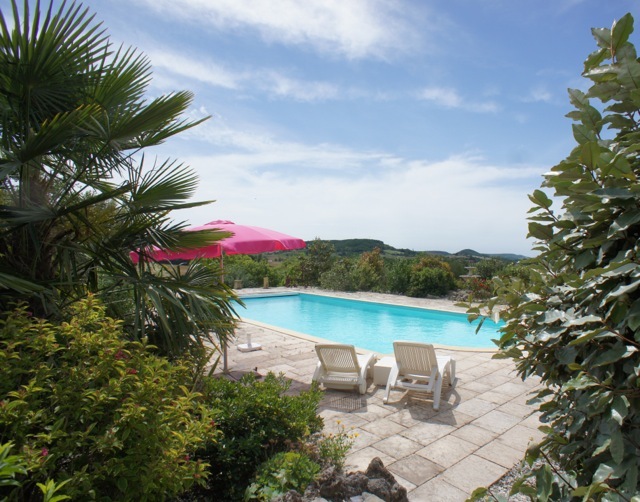 The two gites are available to book together for two families or a party of up to 9 people, with good discount for booking both together - so its a good idea to think about holidaying with the family or friends. Along with the accommodation in the Chez Papi gite, there are books and games all around the house. 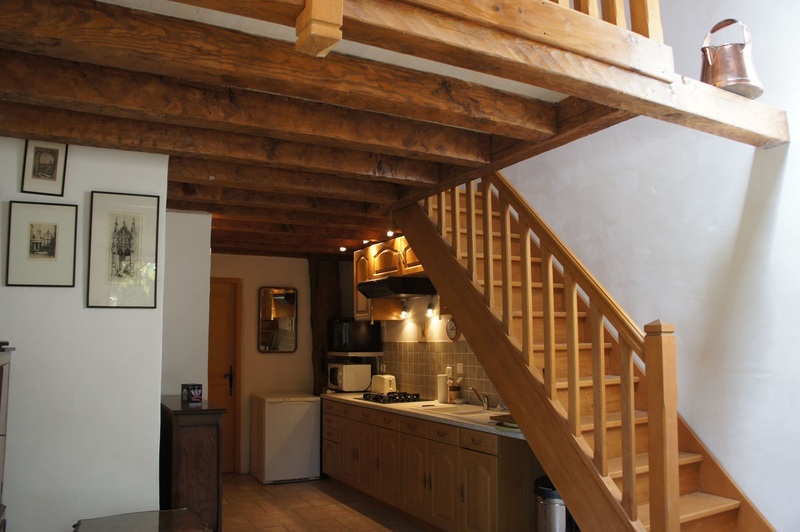 We also provide some further amenities for your comfort and enjoyment in all the gites at Vieux Mirou, which you can read about here.